– Presenting the Santa Cruz River Valley community with new and exciting ways of experiencing the performing arts: theater, dance, music, opera and poetry. – Inspiring young musicians, promoting local talent, showcasing established artists. – Providing unique ongoing performing arts education opportunities: concerts, workshops, music camps, master classes, performance techniques, lessons in listening. – Expanding the community of performing arts enthusiasts and nurturing performing arts appreciation for future generations. – Promoting small scale performances in chamber and intimate settings. Originally from Nogales, Arizona, historical keyboardist and modern pianist Evan Kory has a vivid repertoire ranging from the renaissance and baroque to the present. 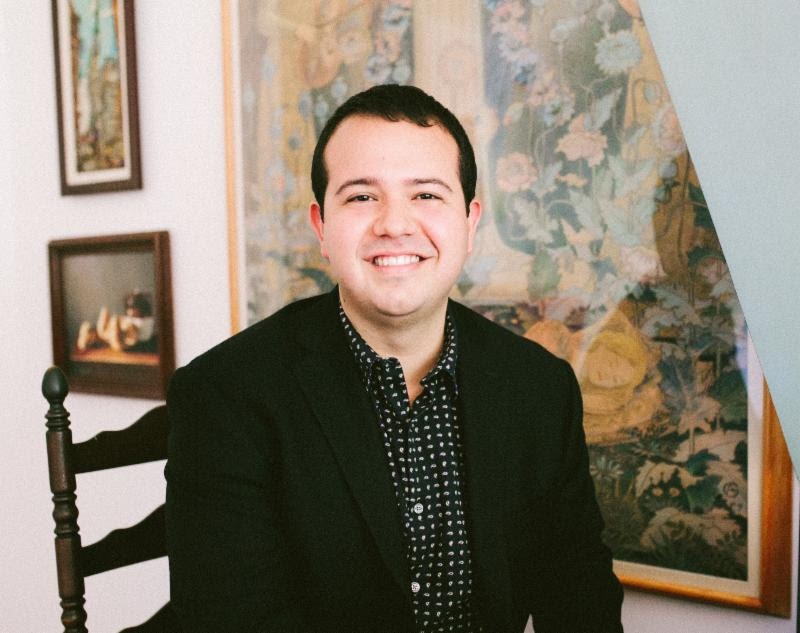 A recent graduate of The Juilliard School’s historical performance program, Evan is passionate about exploring the vast keyboard repertoire of the last four centuries on the various keyboard instruments for which the music was composed. Evan studied at the Manhattan School of Music for his bachelors and masters degrees and received his Doctor of Musical Arts in May 2017. His dissertation investigates performance practices in the piano works of Johannes Brahms through the historical recordings of Brahms’s students. Evan’s primary teachers have been Phillip Kawin, Peter Sykes, Richard Egarr, and Béatrice Martin. His first recording, a collection of J.S. Bach keyboard works was recorded by the Master Performers label in Australia. Evan is a former faculty member of the Interlochen Arts Academy and Camp in Michigan and is a board member of The Santa Cruz Foundation for the Performing Arts. Through the SCFPA Artist in Residence Program, gifted performers are invited to explore their talent, develop their performance skills, build their reputations and connect with other artists. SCFPA supports future generations of performers by offering these burgeoning musicians guest living quarters,and the use of the Benderly-Kendall Opera house for practice and public concerts. In return, the artist in residence is expected to offer master classes, accept students and present several concerts during the performance season at the new Benderly-Kendall Opera House in Patagonia. This year Evan is featured in no less than six of the scheduled performances*. He will also be accompanying the Santa Cruz Singers for their winter and spring concerts and presenting occasional pre-concert talks. Check our website for dates of upcoming performances.